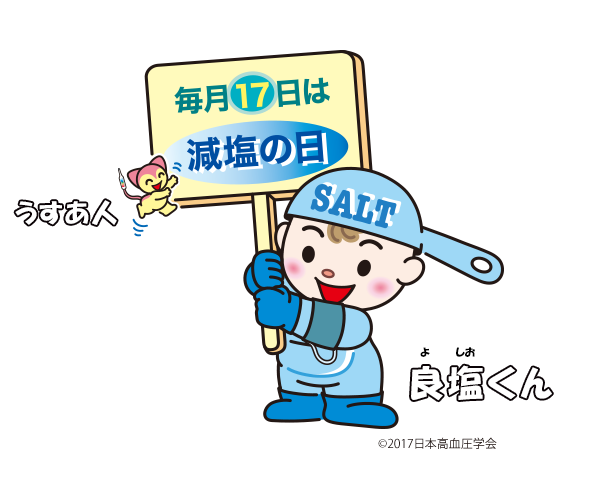 Kawano Y, Ando K, Matsuura H, Tsuchihashi T, Fujita T, Ueshima H: Report of the Working Group for Dietary Salt Reduction of the Japanese Society of Hypertension: (1) Rationale of salt restriction target level for the management of hypertension. Hypertens Res 2007; 30: 879-886. 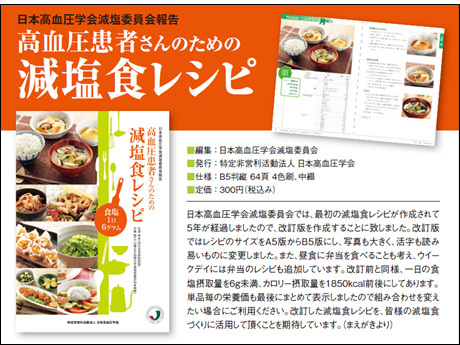 Kawano Y, Tsuchihashi T, Matsuura H, Ando K, Fujita T, Ueshima H: Report of the Working Group for Dietary Salt Reduction of the Japanese Society of Hypertension: (2) Assessment of salt intake in the management of hypertension. Hypertens Res 2007; 30: 887-893. Stolarz-Skrzypek K, et al. ; European Project on Genes in Hypertension (EPOGH) Investigators. Fatal and nonfatal outcomes, incidence of hypertension, and blood pressure changes in relation to urinary sodium excretion. JAMA. 2011; 305:1777-85. Salt and cardiovascular disease mortality. Lancet 2011;377:1626. Cohen HW, et al. Sodium intake and mortality in the NHANES II follow-up study. Am J Med. 2006;119:275.e7-14. Strazzullo P, et al. Salt intake, stroke, and cardiovascular disease: meta-analysis of prospective studies. BMJ. 2009; 339:b4567. Taylor RS, et al. Reduced dietary salt for the prevention of cardiovascular disease. Cochrane Database of Systematic Reviews 2011; 7:CD009217. Taylor RS, et al. Reduced dietary salt for the prevention of cardiovascular disease: a meta-analysis of randomized controlled trials (Cochrane Review). Am J Hypertension 2011; 8:843-53. He F, MacGregor GA. Salt reduction lowers cardiovascular risk: meta-analysis of outcome trials. Lancet 2011;378:380-2. Paterna S, et al. Normal-sodium diet compared with low-sodium diet in compensated congestive heart failure: is sodium an old enemy or a new friend? Clin Sci (Lond). 2008; 114:221-30. ASN statement in support of US dietary guidelines for Americans 2010. Eaton SB, et al. An evolutionary perspective enhances understanding of human nutritional requirements. J Nutr 1996;126:1732-40. Catanozi S, et al. Dietary sodium chloride restriction enhances aortic wall lipid storage and raises plasma lipid concentration in LDL receptor knockout mice. J Lipid Res. 2003;44:727-32. Koleganova N, et al. Both high and low maternal salt intake in pregnancy alters kidney development in the offspring. Am J Physiol Renal Physiol. 2011; 301:F344-54. Sacks FM, et al. ; DASH-Sodium Collaborative Research Group. Effects on blood pressure of reduced dietary sodium and the Dietary Approaches to Stop Hypertension (DASH) diet. DASH-Sodium Collaborative Research Group. N Engl J Med. 2001;344:3-10. 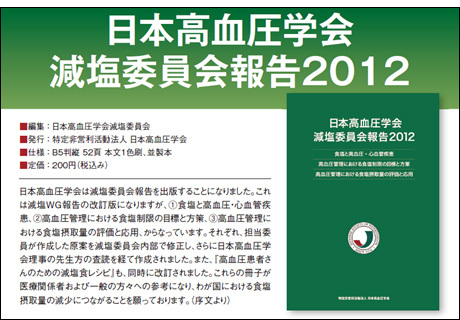 Copyright © The Japanese Society of Hypertension. All Rights Reserved.